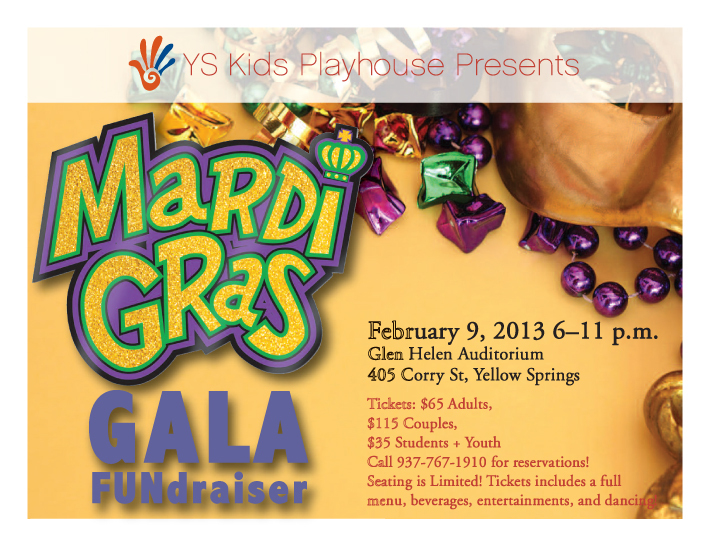 The YS Kids Playhouse invites you to eat, drink and be merry at its Mardi Gras Gala FUNdraiser! For reservations, contact Bette at 937-767-1910 or bkelley@phoerising.com. Details (including full menu) can be found at our Facebook event or www.yskp.org.